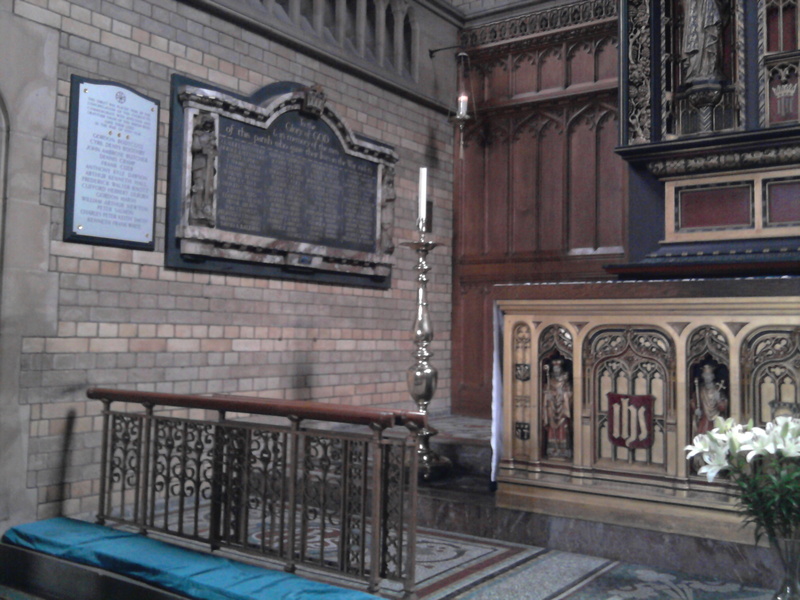 Last year I published the details of the war memorials at St John the Baptist church. Because of the way that parish boundaries are and were set, not all of the Clarendon Park fallen are remembered at St John’s. I would like to remember three brothers who died during the Great War, Harold and Arthur Bree, and their older brother Ernest Harry, who survived. You might remember their mother, Eliza Bree, from an article I posted right at the beginning of this blogging lark – here. 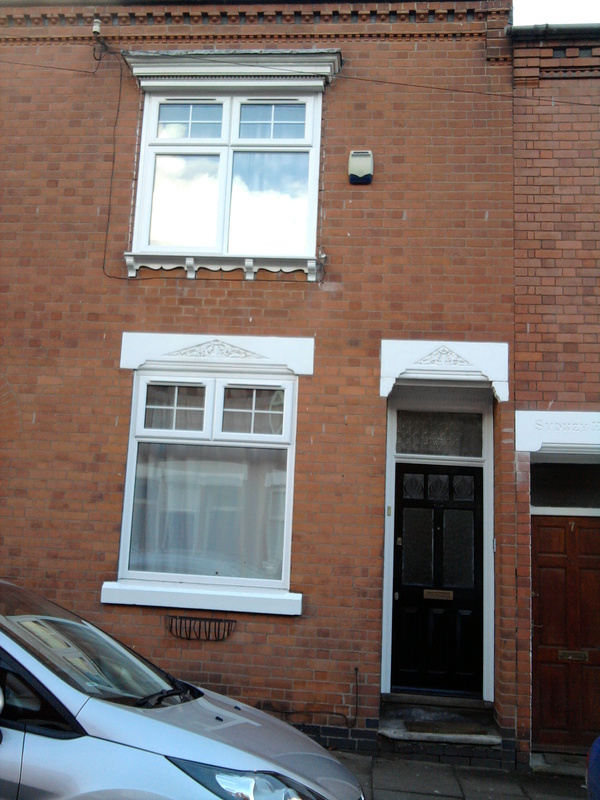 Mrs Bree lived in Avenue Road Extension and in 1898 got into a bit of bother with her drunken boarder. Eliza and her husband Harry had a large-ish family – Emma b1878, Ernest Harry b1887, Sydney John (1890-1), Harold b1892, Arthur Edward b1896, Oliver b1898, Doris May (b1904), Ivy Helen (b1907), as well as several others who died in infancy. At the outbreak of the war, Ernest Harry, a railway goods porter, joined the Leicestershire Regiment as a private (nos 2046, 200223), fought in France and lived to tell the tale. He died in Coalville in 1965. Harold Bree enjoyed – if that is the right word – a varied career in the Army Service Corps and the Royal Engineers. At the time of his death on 2nd May 1918 he was a Sapper in the Royal Engineers (Railway Traffic Establishment), perhaps due to skills picked up from his railway porter father and brother (Harold himself was a butcher before the war). He died in England and was buried at Welford Rd Cemetery in consecrated ground, alongside fellow casualties Private Vivian Harry Ringrose and Private William George Grewcock. Arthur Edward Bree, also a railway porter, joined up as a Private in the 4th bttn Worcs Regiment and died on 16th Aug 1917, during the 3rd battle of Ypres. His body was never found and he is remembered at Tyne Cot Memorial, Belgium to the missing in Belgian Flanders. Younger brother Oliver died six days later, as a Private in the Royal Scots (Lothian Regiment), having transferred from the Leicestershire Regiment. He was just 19. He is buried in Potijze Chateau Grounds Cemetery, Western Flanders. 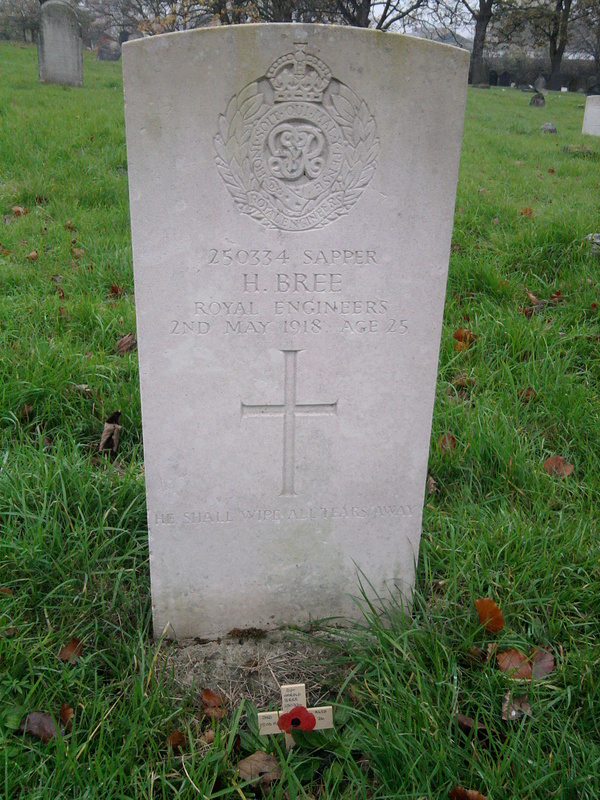 Sadly none of the service records for the Bree brothers survive, being amongst those water damaged and lost during the second world war, which is such a pity as it seems that almost all we know of these young men is that they lived and died. And what of Harry and Eliza Bree? How awful for them to have lost three of their four surviving sons to the slaughter. These men gave their lives for us and I, for one, am grateful. Regards, Elizabeth. Harry Allen was born in 1897 in Leicester, the son of Charles Samuel Allen and Kate nee Thacker. His mother died in 1904, when Harry was just 7, and his father remarried a much younger woman, Edith Lount. They continued to live at 237 Avenue Road Extension until sometime between 1911 and 1914, when the family moved to 86 Lorne Road. He had three brothers, John Rose, Walter Edmund and Samuel Purver, and two sisters, Gertrude Emma and Beatrice Violet. Of these only his sisters survived to see the end of World War I. In 1911, aged 14, Harry worked as a wool washer in the hosiery trade. Aged 18, fully grown at 5 ft 4 and 3/4, Harry weighed just 8 stones and 1lb. He had a fresh complexion, grey eyes and light brown hair. 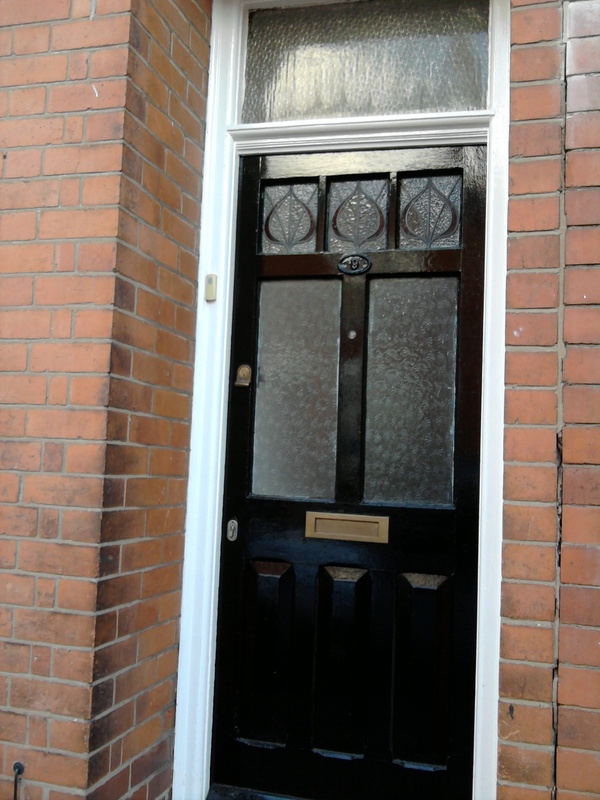 At the beginning of the war he lived 86 Lorne Road with the rest of his family. His brother Samuel had died earlier that year aged 19. 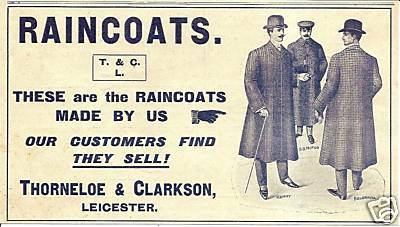 He enlisted early on, on 8th September 1914, joining the Leicestershire Regiment. His battalion, the 9th (service), was formed in Leicester in 1914. Harry was sent with the rest of his comrades, first to Bourley Camp, Aldershot and then to Pernham Down on Salisbury Plain for final training. In 1915 he embarked for France, landing on 29th July. He served on the Western Front, where 517 men from his battalion died. Harry was wounded on 8th October 1916 – a “severe” shrapnel wound in his back (right scapula), chest and arm. He was admitted to the field hospital, then transferred to a hospital in Rouen, then on 4th November to the The King George Hospital, in Stamford Street, Waterloo, an emergency facility created in what is now part of King’s College London. Between 1915 and 1919 over 70,000 soldiers were treated there. Harry was operated on and found to be in a very serious state internally. He died on 7th November 1916, of shock and loss of blood. He is buried at Welford Road Cemetery, Leicester, where there is a memorial plaque. Harry’s medals, the Star, Victory and British, were sent to his father Charles. None of Harry’s personal effects survived to send with them. 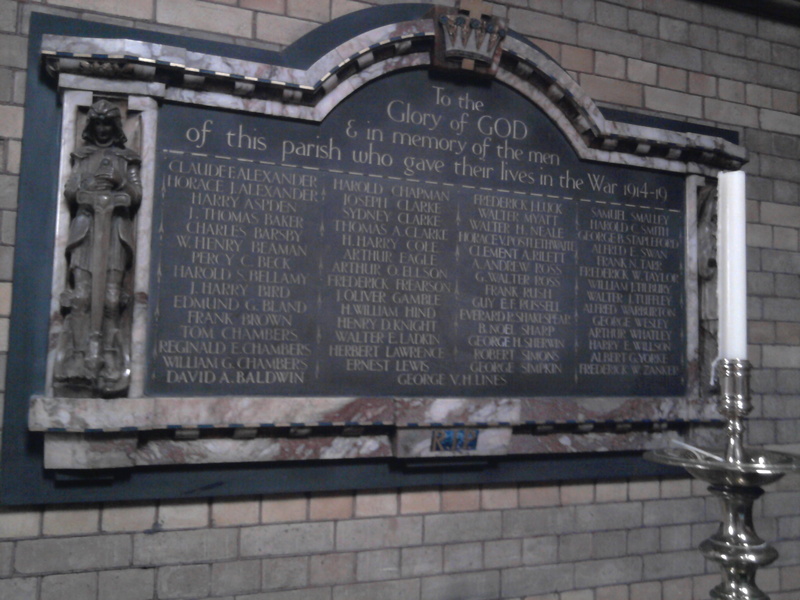 I will be posting details of the remembrance plaque at St John the Baptist Church on Remembrance Sunday. Regards, Elizabeth.